Diablo 3 no longer has a real money auction house, but while it was active it was providing a very nice living for those willing to exploit the system. Diablo 3’s real money auction house helped a Bulgarian going by the psuedonym Cherokee Brook make over $100,000 in 2013, apparently. In a blog called A Diablo 3 Story, Brook outlines his experience going from a player to a botter, learning to program and work economic systems while building on a free bot distributed by a friend. Capitalising appetite for rare items, Brook’s bot would automatically purchase likely gear that was selling under value, mainly due to player ignorance of what they had. Brook leveraged his impressive knowledge of the game to create searches for specific, much-sought items, and even bought extra, more powerful PCs to help run multiple lightning-fast searches across multiple Diablo 3 accounts. “It turns out that in a game like Diablo 3 that has millions of players in each region (Europe, Americas and Asia) there are so many players that have no idea what they’re doing that good and expensive items are being put for sale on the Auction House for ridiculous prices all the time,” he wrote. At the peak of his botting career, Brook was earning approximately €370 (about $495) per day. “You have to realize that in Bulgaria, where the average wage is a little over 700 leva (€360) per month, this was a big deal. I was making more than what most of the football players playing for the country’s top clubs were,” he wrote. Now that the auction house has closed Brook’s Diablo 3 career is over, but the full post notes that making money got harder and harder as the Diablo 3 economy was ruined. Brook maintains it wasn’t auction house botters like him who ruined the economy but farmings botters, who caused so much inflation that it made it impossible for genuine players to compete. “From late May 2012 to July 2013, in a little over a year, the price of gold in Diablo 3 managed to decrease more than 1000 times,” he wrote. Brook criticised Blizzard for letting this situation come about. First, he said, the game doesn’t provide enough uses for gold to keep the economy healthy by having it vanish forever. But more importantly, Blizzard didn’t do enough to control farmers, he argued. 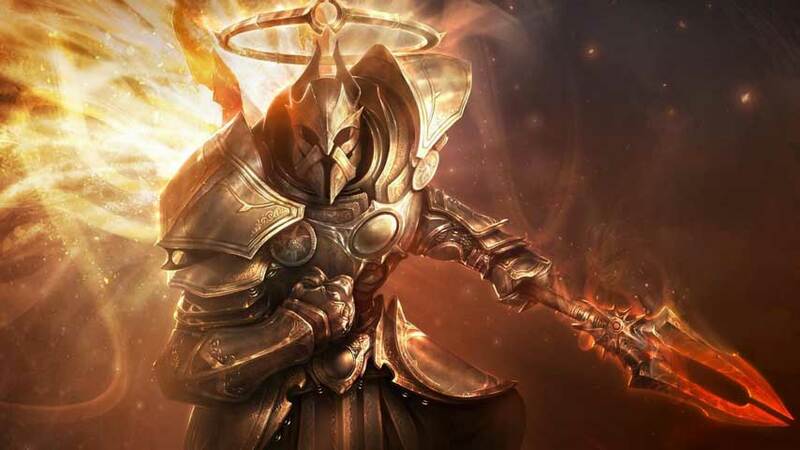 “Blizzard’s policy in Diablo 3 was (and still is) to ban in waves or so called banwaves, meaning that even if a botter is caught after a few days of botting he is only flagged and will be banned on a later date as selected by Blizzard along with many other flagged botters,” Brook wrote. “Later in 2013 there was a period of time in which there was no banwave for more than 3 months. This is very important because something even worse happened with regards to the farming bots. The banwaves for them were even fewer. In the beginning of 2013, there was actually a period of more than 4 months in which there was no banwave for farming bots. The full post is highly detailed and well worth a read, and if you’re a Diablo 3 fan there are some amazing auction sales detailed.